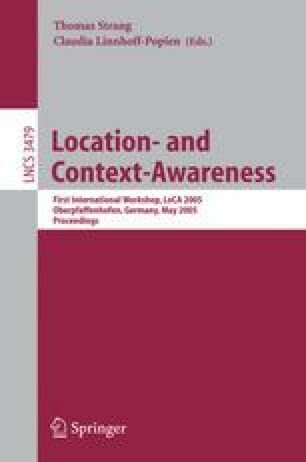 We describe our approach of introducing context-awareness into everyday applications to make them more easy-to-use. The approach aims in shortening both the learning curve when introducing new technology to end-users and prototype development time, as well as results in more reliable prototypes. Moreover, we expect that the approach yields better quality user test results. To demonstrate the approach, we have employed context-based availability inference to automatically update the availability of IBM Lotus Sametime Everyplace users. This is likely to result in more reliable availability information and to make the application easier to use. Context inference is done using information from Lotus Notes Calendar and WLAN positioning technology.